The Law Office of Michael E. Rediger, P.C. Since 1994, Michael Rediger has represented clients in complex commercial litigation, real estate, criminal law, civil rights, and personal injury in both state and federal court. Before entering private practice, Mr. Rediger served as a Cook County prosecutor for four and ½ years, and he continues to do extensive work in the area of criminal law. He has successfully defended persons facing criminal charges including the most serious felony offenses to DUI’s and Traffic. In conjunction with his criminal practice, Mr. Rediger litigates civil rights cases stemming from abusive government practices. Since entering private practice, Mr. Rediger has successfully served as litigation counsel for individuals in complex civil matters as well as business transactions. He has extensive experience prosecuting and defending individuals in personal injury lawsuits and has negotiated several large settlements on behalf of his clients. 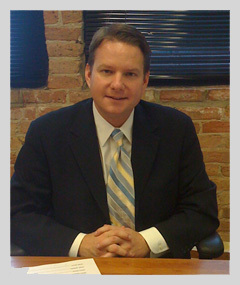 Mr. Rediger also assists clients with residential real estate closings and commercial real estate transactions. In addition, Mr. Rediger provides counsel for business transactions and complex commercial litigation matters, including prosecuting and defending lawsuits involving business contract fraud.